Jessica Anderson is vice president of Heritage Action. Previously, she served as associate director of intergovernmental affairs and strategic initiatives at the Office of Management and Budget in the Trump administration. The most common way a second- and third-trimester abortion is performed is through a procedure called D&E (dilation and evacuation) where an abortionist uses a grasping instrument with rows of sharp teeth to tear the child’s body apart limb by limb. The abortionist then continues to remove the baby’s intestines, heart, lungs, spine, and other limbs from the body. The final step is for the abortionist to collect all of the body parts and reassemble them into the shape of a child to make sure all of the pieces have been removed from the woman’s body. The likely reason is because abortion advocates fear for the future of Roe. v. Wade. Many states still have pre-Roe abortion laws that were never repealed and could go into effect if Roe were overturned. 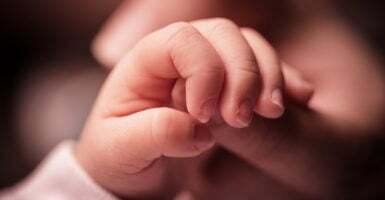 The Democratic-controlled states are trying to codify legislation that secures the future of abortion—and a money stream to their campaigns—while simultaneously denying protections to unborn children and threatening the lives of newborns.